Note: Some minor updates were made to this book on 4/27/16. 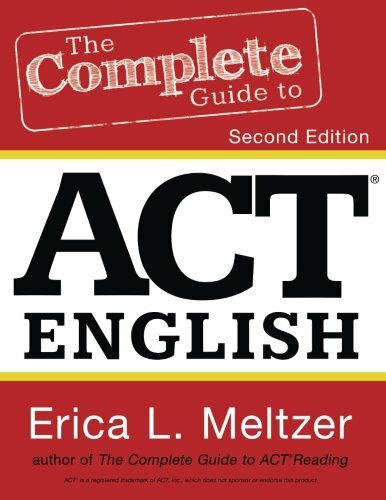 Written by a top tutor whose students regularly achieve ACT English scores in the mid-30s, The Complete Guide to ACT English is the only book that offers a comprehensive review of all ACT grammar and rhetoric topics. Includes step-by-step explanations of errors in all their forms; dozens of ACT-style exercises that help you move from understanding rules to applying them in context; and cumulative reviews that allow you to practice a progressively wider range of concepts in a passage. Also includes a complete index of English questions from The Real Guide to the ACT, grouped both by topic and by test.